An expanded flange corner bead with extra long expanded flange. 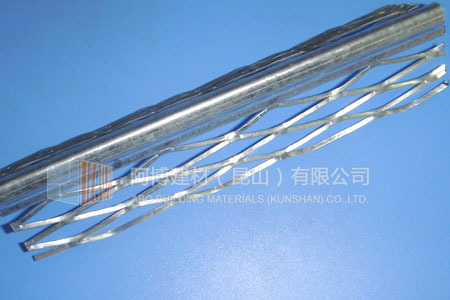 It has a steel rib running the length of the bead to provide nail holes and extra rigidity. 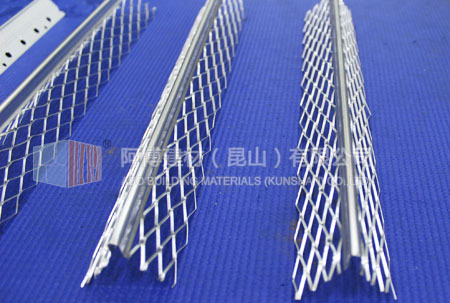 Expanded Metal is a mesh formed from a single piece sheet metal. 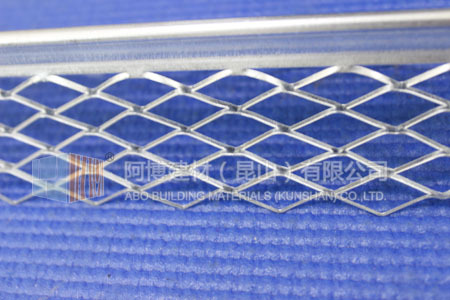 The sheet of solid metal is slit and stretched with each stroke of a die which forms a raised diamond pattern. The pattern changes by gauge and type of material and the size of the diamond. 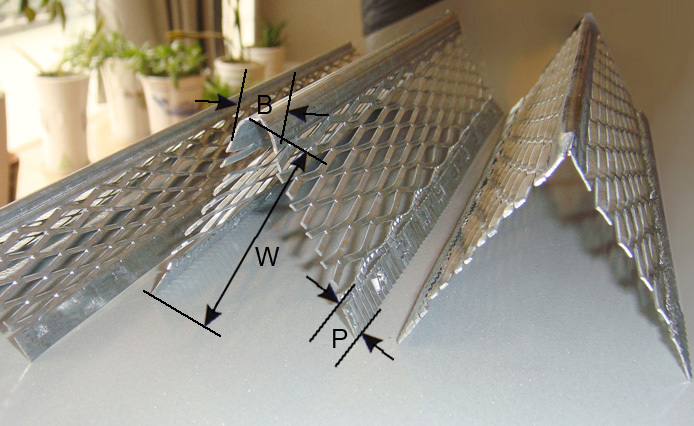 The mesh can be pressure rolled at so that the strands are in the same plane as the sheet. 3. All dimensions can be customized according to your requirements. The productions are mainly used for reinforcement purposes and for plaster or render embracing. 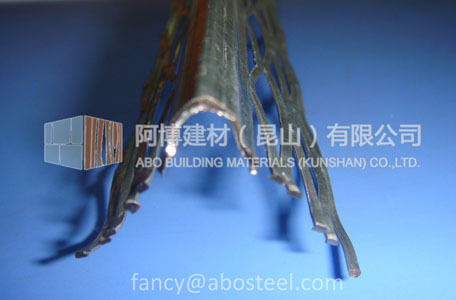 Meantime, it provides good finishing and stronger edges, that can help to improve the life time of any buildings. 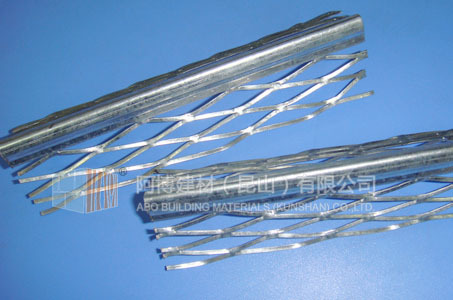 Angle Bead are resistant to chips, cracks and impact damage. It protects the corner and edges and offers good shape.